One Wisconsin Republican’s past has caught up with him in a horrible way, and he has dropped out of the race for a state Assembly seat after admitting to using racist and homophobic slurs in social media messages, acccording to Talking Points Memo. 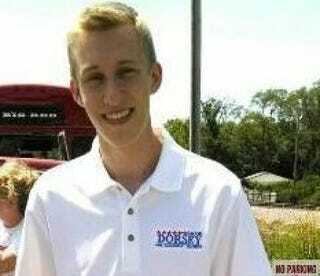 Jacob Dorsey, a 19-year-old who was running against Democratic state Rep. Deb Kolste for the Assembly seat, admitted to making the offensive comments, apologized and dropped out of the race on Tuesday, the news site notes. According to TPM, in December 2013 Dorsey tweeted, “f—s need 2 leave my favorite state alone,” after a judge overturned the state’s ban on gay marriage. Although the race is over, he’ll be continuing his studies at Brigham Young University-Idaho, where he was enrolled before he started his campaign.